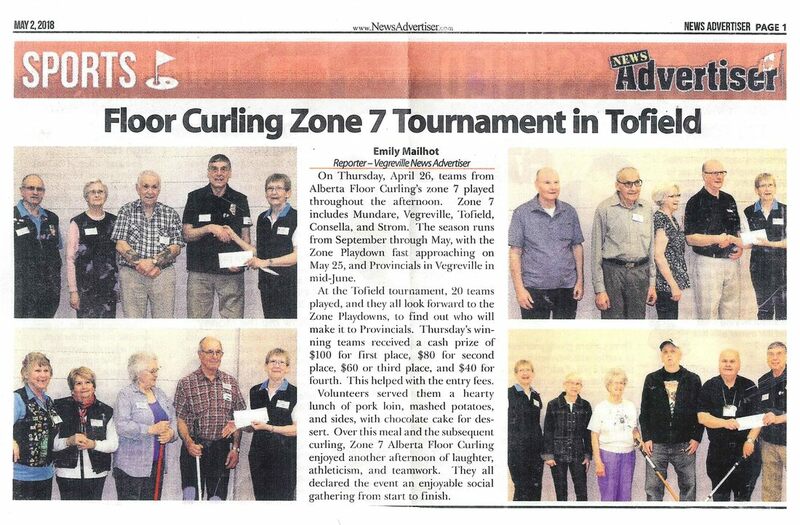 Area 7 for Alberta Floor Curling Association (AFCA) includes Mundare, Vegreville, Tofield, Kinsella and Strome. Any Club from and Area may participate in any sanctioned AFCA tournament. 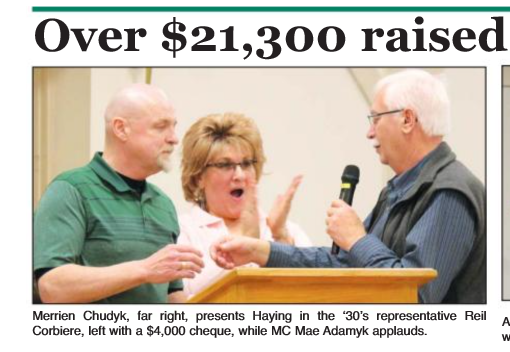 AFCA donated $4,000 to the Haying in the 30's Cancer Support Society during the annual fundraiser Saturday March 11,, 2017 in St. Michael. 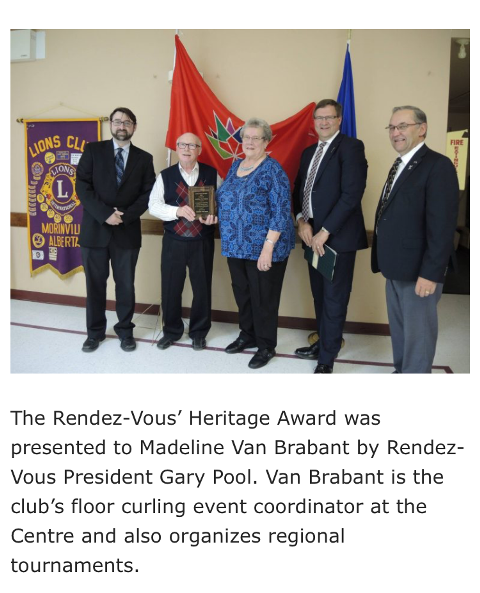 The following article is copied from the original article that was published in the Mar 14, 2017 Lamont Leader magazine. Corrections to note: Merrien Chudyk should be Marrien Chudyk and he is a Director for AFCA. Emil Schiller is the President. 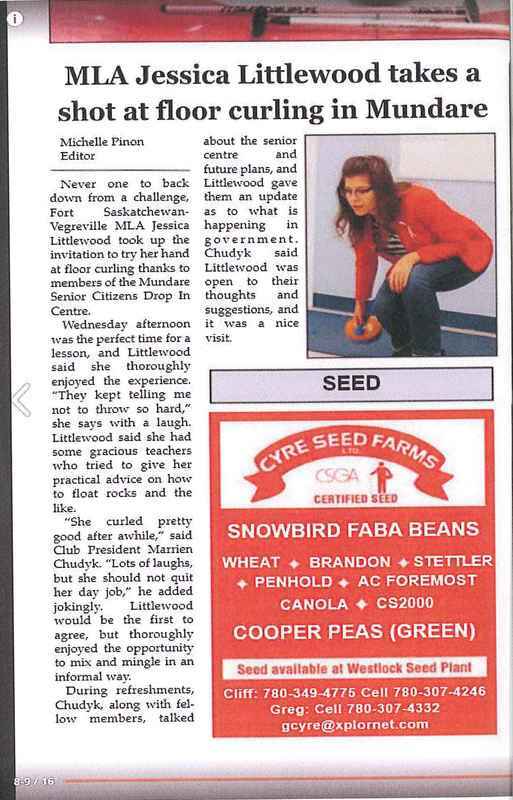 MLA Jessica Littlewood takes a shot at floor curling in Mundare. The following article is copied from the original article that was published in the Jan 31, 2017 Lamont Leader magazine.